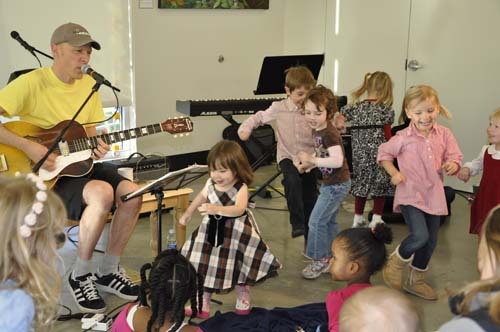 St George Parish School is hosting a Beacon Hill Neighborhood Open House and Book Fair on Saturday, March 5, from 9 a.m. until 5 p.m. The fair will have books and school supplies available for purchase, and other activities will include story time, art activities, and snacks. The fair is in St. George’s Parish Education Center, 1300 South Dawson Street. Join us for exhibition night! Prospective students and families are invited to visit Nova, meet students, teachers and staff and learn more about the school’s unique program. Nova is a small public high school in the Seattle school district. Enrollment is open to students city wide. The Open House starts at 6:30pm Thursday (tomorrow) night at 300 20th Avenue East. Link corrected. Whoops! Thanks, Bridget. Beacon Hill International School has been selected as one of 20 Chinese language program “pioneer” schools through the Hanban-Asia Society of Confucius Classrooms Network. 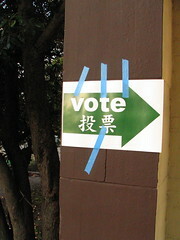 The school will receive $10,000 a year for technology, possible funding for a new local Chinese teacher for next year, development of a sister-school relationship with an elementary school in China, professional development for Chinese-language teachers, and instructional materials, among other resources. Get a close-up view of the historic Fire Station 13 next month. Photo by Bridget Christian in the Beacon Hill Blog photo pool. 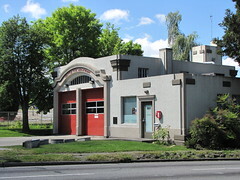 The historic landmark Fire Station 13 on Beacon Avenue South, near Jefferson Park, is hosting an open house on Saturday, November 14 from 1:00 to 3:00 pm. All are welcome (kids too!) 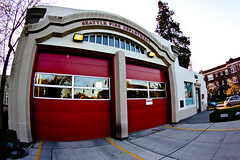 to meet the firefighters, tour the engine, and learn about improvements to the station. Fire Station 13 is a wonderful old building (read the Landmark Nomination Report for this site, from 2004) built in the Mission Revival style in 1928. Currently, work is being done on the station to upgrade it to current seismic safety standards, replace the roof, and improve the usability of the building. The station is located at 3601 Beacon Avenue South, on the corner of Beacon and South Spokane Street. 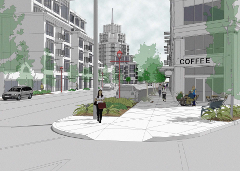 A rendering of the view down Beacon Avenue with 125-foot zoning. From the DPD website. 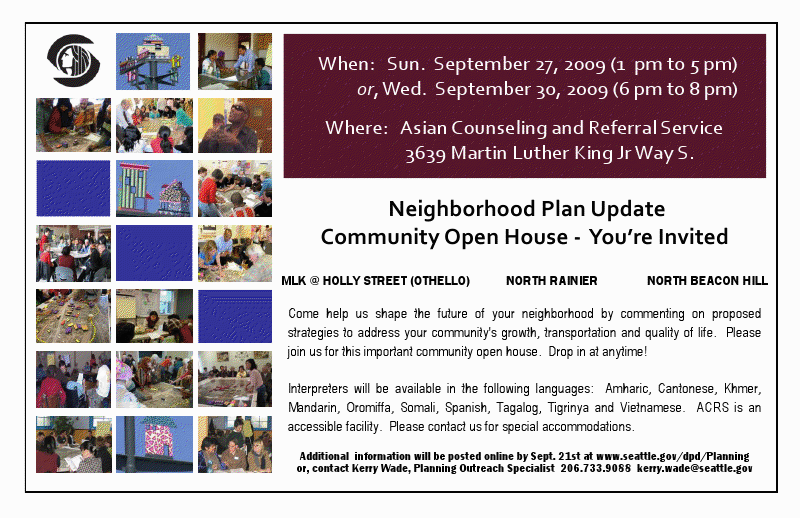 From 1 to 5pm on Sunday, September 27th and also 6 to 8pm on Wednesday, September 30th the City of Seattle is hosting Neighborhood Plan Update Community Open Houses. These community open houses are another opportunity to take an active role in addressing the local issues and concerns that affect you, your family, and your neighbors. All stakeholders are invited to participate — residents, renters, business owners, property owners, various community organizations and institutions. Please join us for this important community event! Unlike previous planning updates, these open houses will not be held at El Centro. Instead, they will be at the Asian Counseling and Referral Service, 3639 Martin Luther King Jr Way S.
Amharic, Cantonese, Khmer, Mandarin, Oromiffa, Somali, Spanish, Tagalog, Tigrinya, and Vietnamese interpreters will be available to assist attendees. Please take some time to review the draft plan update for North Beacon Hill at the Seattle DPD website and perhaps prepare some comments or questions to bring up at the open house. The draft plans include alternatives for 40-foot, 65-foot, and 125-foot zoning near the junction at 15th and Beacon Avenue. See the flyer for the events. Thanks to Adam Ganz for the early notice about the plans and events.